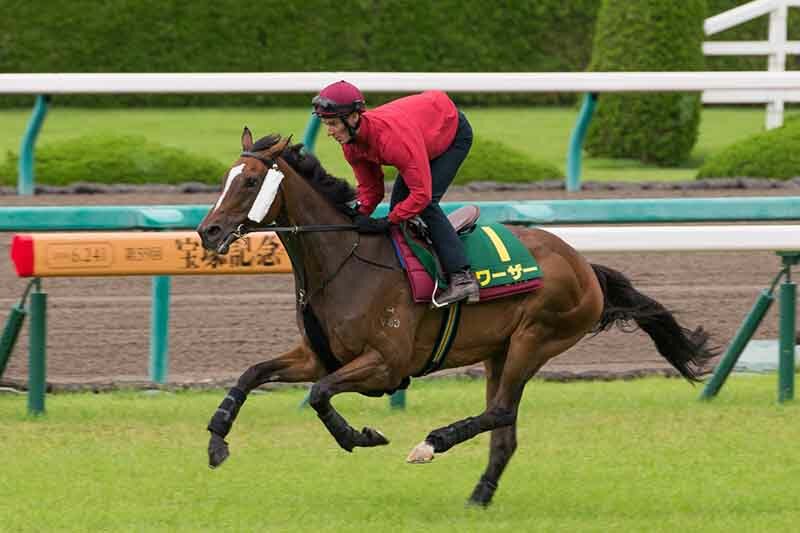 Champion race horse Werther is ready for the Group 1 Takarazuka Kinen on Sunday. 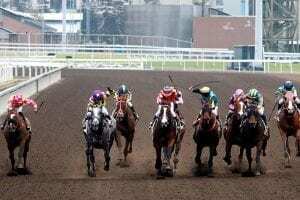 Picture: HKJC. 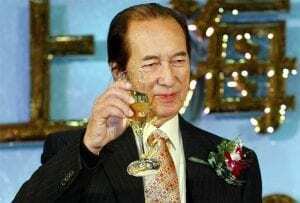 RACE horse owner Johnson Chen watched champion stayer Werther experience Hanshin Racecourse for the first time and revealed that he is fulfilling a lifelong dream in bringing his 2015/16 Hong Kong Horse of the Year to Japan to contest Sunday’s Group 1 Takarazuka Kinen (2200m). The John Moore-trained Werther is only the second foreign horse to tackle the Takarazuka Kinen, one of two Japanese “all-star” races on the calendar along with December’s G1 Arima Kinen (2500m) at Nakayama. The first raider, Australian galloper Seto Stayer, finished ninth in 1997. “Japan has always been very close to me and I am very attached personally,” said Chen, a Tokyo resident in his youth. “I spent six years here and went to high school in Japan, so to be able to compete in Osaka in one of the best races in the country is a dream come true for me. Werther is like family for me, it has been such a joy to own him and to bring him here is very special. “It has always been something we wanted to explore with him. Werther’s road to the Takarazuka Kinen has not been the smoothest, but connections remain confident of a big performance in Sunday’s 325 million yen (about HK$23 million) feature. 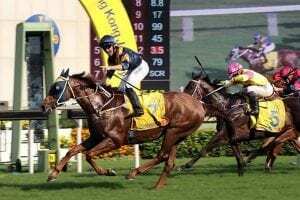 The Tavistock gelding was barred from racing for three months, having bled after producing the second-fastest Sha Tin 2000m time on record when runner-up in February’s G1 Hong Kong Gold Cup. Werther then had a less than ideal warm-up when sixth under top-weight in the G3 Lion Rock Trophy (1600m) first-up on 3 June. 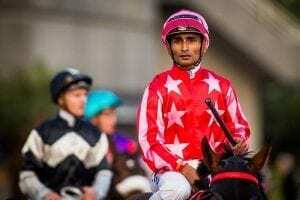 And while the three-time G1 winner has taken the trip in his stride, it has been eventful enough after a 6.1-magnitude earthquake struck Osaka on Monday. At that time, the six-year-old was completing his quarantine period at Miki Horse Land Park, 50 kilometres west of Osaka; he shipped across to Hanshin on Wednesday. 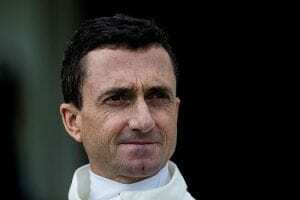 Moore is scheduled to arrive in Osaka on Thursday night to apply the finishing touches to Werther’s preparation, which has been overseen to date by his wife Fifi as well as Clavreul. Werther took to the Hanshin turf just after dawn this morning, looking eager and full of zest as he stepped onto the rain-slicked surface. Cantering up to the top of the straight, Clavreul wheeled him around to complete a lap and a half of the course, galloping the last 1200m. Also creating interest was the application of cheek pieces this morning. It was a first-time gear addition for Werther, who typically wears a hood in his work at Sha Tin. And Clavreul, who has been with Moore since early March and has ridden Werther throughout his current preparation, says that the forecast of rain is a bonus. Werther has drawn gate 13 for Sunday’s contest, with regular partner Hugh Bowman arriving from Sydney tomorrow to take the mount.